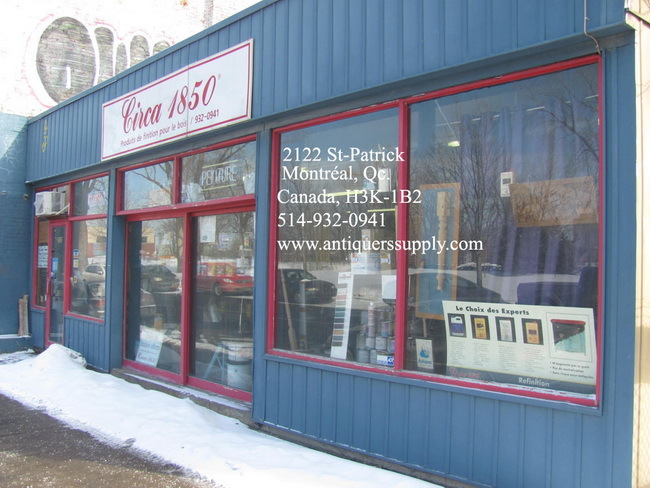 When Circa 1850 opened in 1965 it was to sell paint; then they added some lines when Circa 1850 stains and varnishes were invented right here in Montreal. Nowadays they sell household paint, Modern Masters decorative paint and General Finishes, but mostly offer you products for furniture refinishing. 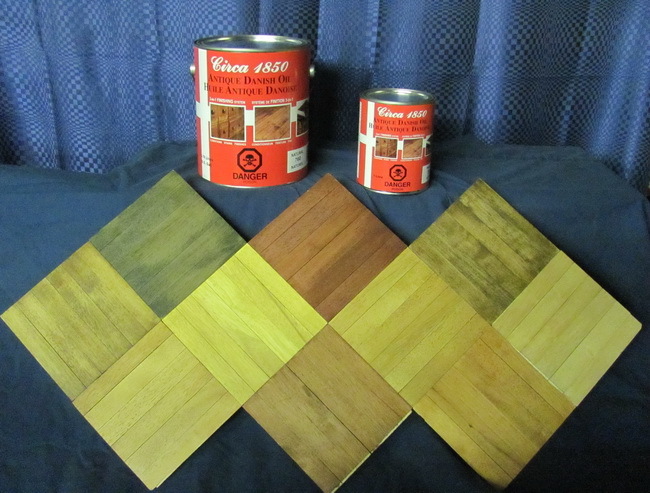 Look for the new exterior stain for decks and siding called One Coat, which is UV cured by sunlight and lasts for 7 years. 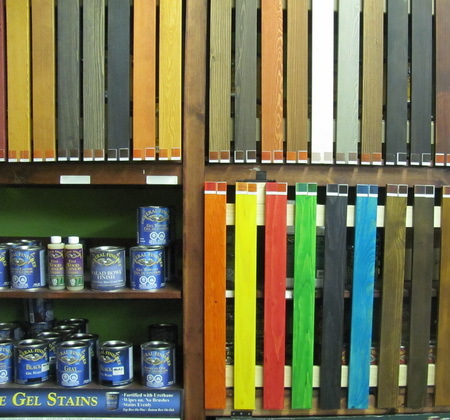 The best part of shopping here is that they can explain how to use any of the products they sell (Circa 1850, Bulldog, Cantech, Zinsser, Solignum, Cabot, General Finishes and One Coat). They sell very good quality paint at excellent prices, and since Solignum is a Montreal based company, all the money saved on shipping or importing is passed on for greater savings to you. 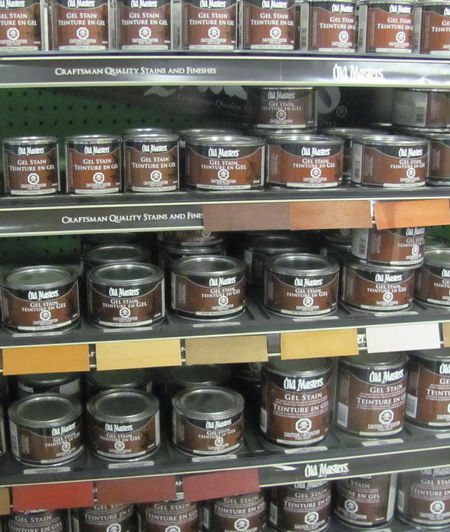 They offer inexpensive paint too, in contractor's grade, starting at $17.50 per gallon. 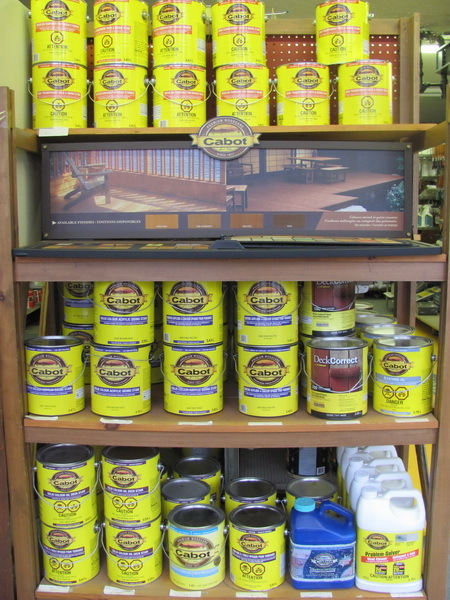 Cabot and One Coat deck stains are here as well as Klenk's bathtub paint, and they specialize in epoxy paints - Nu-Lustre 55 & C.T.M Epoxy (for floors). 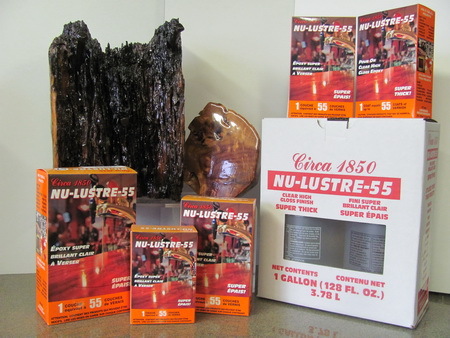 You can find strippers in liquid and gel, marine quality varnish, wood filler for interior and exterior, rolls of steel wool and sand paper in all grades and shellac flakes. 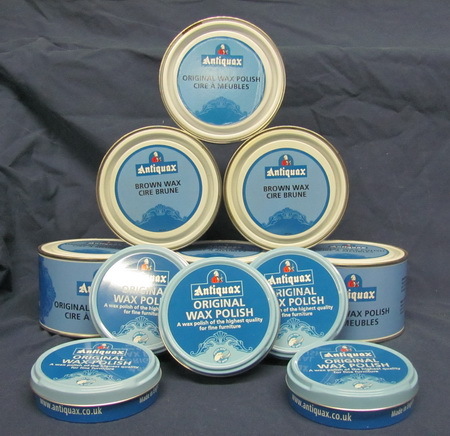 Les Anciens Ebenistes waxes can be found here as well as varnish and wood stains. 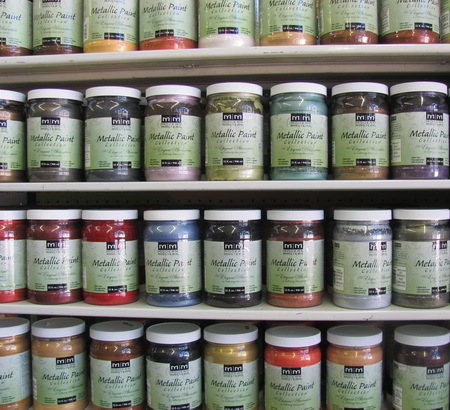 They also sell a kit to make chalk paint. Since this an expensive paint, you can save alot by doing it yourself. 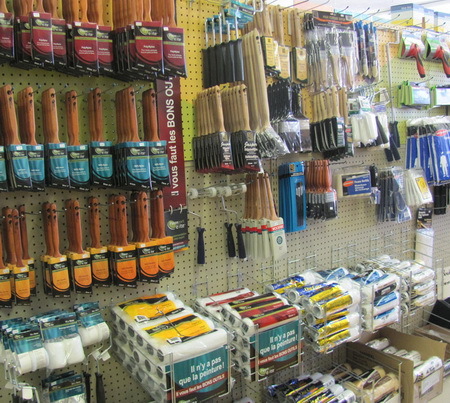 square nails, hinges, reproduction hardware, wood fillers, sandpaper, powdered pigment, drawer slides, turned table legs, wood handles and knobs, keyhole covers.